← Just Released! 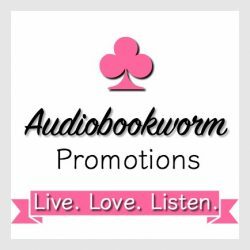 : THE LIE AND THE LADY by Kate Noble — Have you partaken from this unforgettable series? About the Story: When all the ladies of London realize that handsome and refined gentleman, the Duke of Ainsley, is formally looking for a wife, only weeks before Christmas, a mad dash to claim him begins. Miss Barrington knows her chances with the duke are incredibly good given what her close gypsy friend had once foretold, but a forgotten wager with her greatest nemesis, American millionaire, Mr. Redstone, is about to bring on complications and…chaos. Will she claim the respectable and dashing duke which was once foretold by the stars? Or will she fall for Mr. Redstone and go against destiny? Only the days leading up to Christmas will tell! WARNING: THERE ARE A LOT OF GIGGLES, ROMANCE, VOODOO AND MAGIC IN THIS BOX. My Thoughts: Felicity was a feisty young woman, having been found by relatives after staying at a Foundling orphanage for sixteen years. She identified herself by her tag number – 95438. It took real courage to remove it and see what lay beyond the orphanage walls. She had to be strong for how could she have endured knowing her mother had left her there at the orphanage, not wanted all these years? Her past has shaped who she is. Her closest and dearest friend, Marigold, is of gypsy descent and tells Felicity to watch herself for a duke is in her future and all is not what it seems for she must choose and choose correctly. For if she doesn’t, they will come for her. Felicity knew the ‘seeing’ of her future was real, for Marigold had foreseen a lot and it all happened. But why did it have to be so cryptic and misleading?? Fun stuff! The ghostly world behind Felicity’s world plays a large role in her life and the story. Felicity decided she should listen to her uncle’s friend, Baroness Arlington. The baroness was someone with ambition. An interesting character who plays an important role in Felicity’s life. Felicity knew she had to remake herself into a lady, so followed whatever the woman told her. Would this lead her to taking the wrong path? Delilah Marvelle’s story is earthy and hilariously funny, leaving me smiling. Enjoy at winter holiday or anytime when you need a good laugh, a spicy read and a happy ever after ending! Marigold has her story in the next sequel. But we’ll need to wait until next Christmas. Well worth the wait, I’m sure. 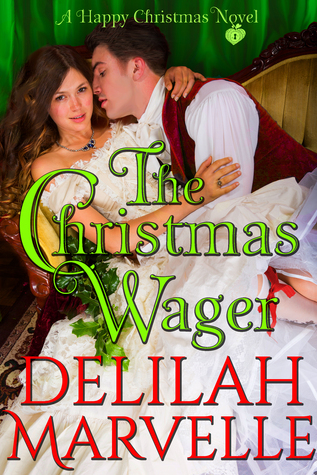 This entry was posted in Christmas Story, New Book Release, Paranormal, Paranormal Romance, Romance and tagged A Christmas Wager, A Happy Christmas Novel, Book Review, Delilah Marvelle. Bookmark the permalink. Eileen, I loved this too but then I love everything Delilah Marvelle writes. I’m just hoping I get to live long enough to read the other nine books on the series. LOL! I’m excited about meeting Delilah this coming September at the Historical Romance Retreat in the USA. You make me laugh. I was thinking much the same thing! Hey, we’re healthy and our minds are active, why not? Although her characters are a bit risqué and my heart just may stop prematurely by that age if I indulge in such reading! Eileen, what about her new “Whipping Society” series? Just think what that might do to our old tickers!! OMG!! I don’t know if my ticker can even take the name of the series? Is it erotica? I’m not sure but the title of the series suggests that it might be. We will just have to have a large bottle of smelling salts at the ready! !